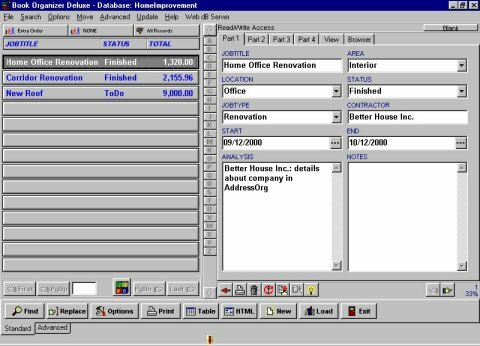 Use this template to track your home improvement data. You can enter the following information: improvement title, area, location, status, contractor, start date, end date, analysis, notes, summary, cost table, picture before, picture after. You can easily gather and organize information about your projects in one place. You can make notes that will help you with organizing your future projects.